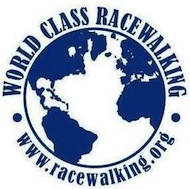 Do you want to learn to Racewalk? Or to Racewalk Faster? Join U.S. National Racewalk Team member and fifteen-time U.S. National Champion Dave McGovern for this unique racewalking event. Participants will learn techniques used by our elite walkers at the U.S. Olympic Training Centers to help you to racewalk faster and more efficiently with fewer injuries. And if you don’t race, these techniques can help you to lose weight, get fit and feel great! Participants will benefit from lectures on modern racewalk technique featuring video from recent Olympic and World Championship competitions, individual video-taped technique analysis, and lectures on race preparation, racing strategy, and proper training methods for racewalkers trying to make the most of their limited training time. The $175 fee for this invaluable clinic includes individual high-definition video-taped technique analysis, group lectures, use of Polar Heart Rate Monitors, and all handouts.